A personalised hand painted wooden sign: Welcome to the World. A beautiful, personalised gift for a new baby boy, ideal as a Christening gift or new baby gift. This enchanting hand painted wooden door sign can be personalised to create a perfect baby keepsake. The personalised hand made wooden sign is hand painted by our wild Welsh artists at Angelic Hen's Wye Valley studio. 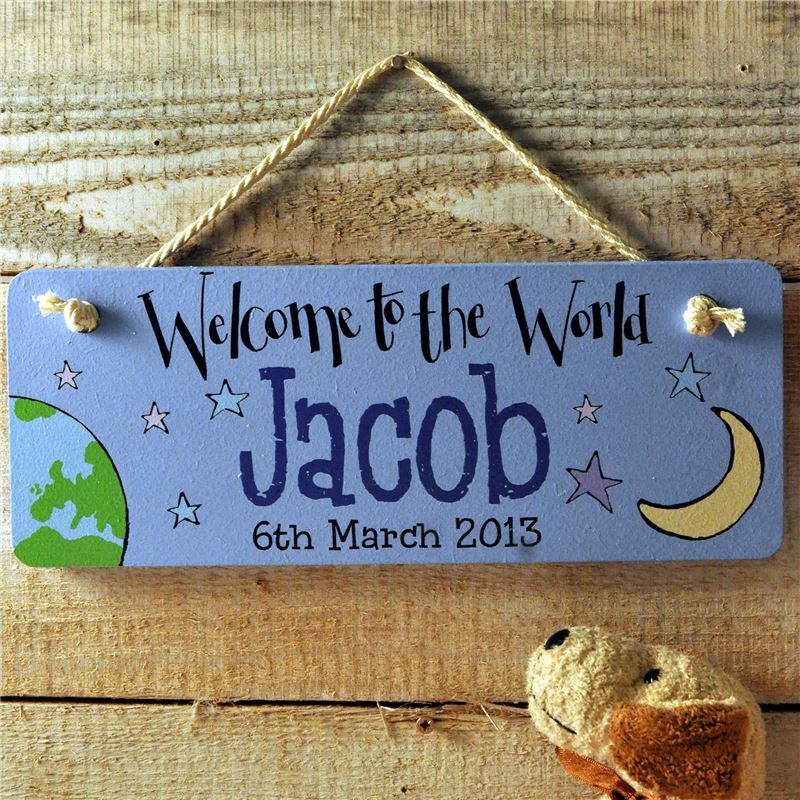 Simply add the name and date of birth of the baby boy you want to include and our artists will do the rest. The personalised hand painted wooden sign is made of wood and has a metal hanging wire. Please note that this product is not a toy, and is not suitable for children under 3. As this product is made to order please allow 2 weeks for delivery.